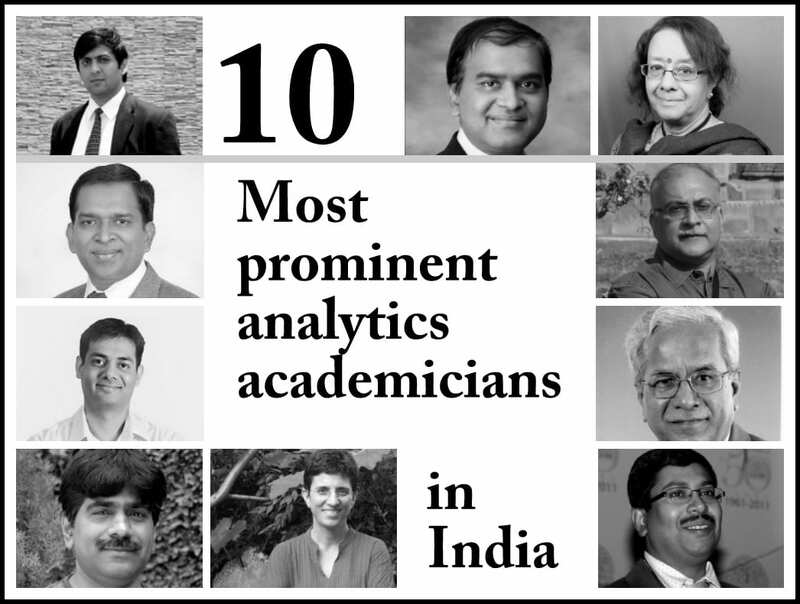 Lets look at people who are driving the flourishing analytics education industry in India. Education being the cornerstone of a budding industry in a country, we looked at top academicians who are driving this wave. 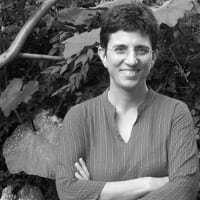 Galit Shmueli was the SRITNE Chaired Professor of Data Analytics and Associate Professor of Statistics & Information Systems at the Indian School of Business. She is Distinguished Professor at National Tsing Hua University’s Institute of Service Science, College of Technology Management. Dr. Shmueli’s research focuses on statistical and data mining methodology with applications in information systems and biosurveillance. She authors five books, including the popular textbook Data Mining for Business Intelligence and over 50 publications in peer-reviewed journals and books, including the top journals – Management Science, Journal of the American Statistical Association, Journal of the Royal Statistical Society, Information Systems Research, MISQ, Marketing Science, Statistical Science and Technometrics. She has presented her work at multiple venues in the US and internationally. Dr. Shmueli is associate editor for the top journals Annals of Applied Statistics, JASA & The American Statistician Reviews and was guest editor of a special issue of Statistical Science. In addition to her academic work, Dr. Shmueli has provided consulting services to private companies (including Pricewaterhouse Coopers, Structured Decisions Corporation, and Accenture) and to US government and state agencies (including the Environmental Protection Agency (EPA) and Indiana Economic Development Corporation). Prof. Arnab K Laha is a member of the faculty of Indian Institute of Management, Ahmedabad and is currently the Chairperson of the Centre of Management of Health Services. His areas of specialization include Data Analytics, Quality Management and Risk Management. He received his doctoral degree in Statistics from the Indian Statistical Institute preceded by the bachelor’s and master’s degree from the same institute. He has wide ranging interest in Statistics and its applications to various disciplines and has published several research papers in national and international journals of repute. Two of his papers have received “best paper” awards in two major conferences. He was featured among India’s best business school professors by Business Today in 2006 and by Business India in 2012. He is also the convener of the biennial IIMA International Conference on Advanced Data Analysis, Business Analytics and Intelligence. 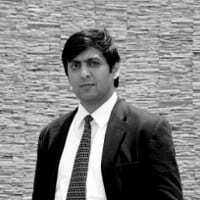 Prof. Laha has been associated with several reputed organizations as a Consultant. He has conducted large number of training programmes on data analytics, quality management and risk management for large corporate organizations. U Dinesh Kumar is a Professor of Quantitative Methods at IIM Bangalore and holds a Ph.D. in Mathematics from IIT Bombay. Dr Dinesh Kumar introduced Business Analytics elective course in 2008 to the PGP students at IIM Bangalore and started one of the first certificate programmes in Business Analytics in India in 2010. Dr Dinesh Kumar has over 20 years of teaching and research experience. Prior to joining IIM Bangalore, Dr Dinesh Kumar has worked at several reputed Institutes across the world including Stevens Institute of Technology, USA; University of Exeter, UK; University of Toronto, Canada; Federal Institute of Technology, Zurich, Switzerland; Queensland University of Technology, Australia; Australian National University, Australia and the Indian Institute of Management Calcutta. Eleven of his case studies on Business Analytics based on Indian organizations such as Aavin Milk Dairy, Apollo Hospitals, Hindustan Aeronautics Limited, Indian Premier League, Shubham housing development finance company have been published at the Harvard Business Publishing. Dr Dinesh Kumar has carried out predictive and prescriptive analytics consulting projects for organizations such as The Boston Consulting Group (India) Private Limited, Hindustan Aeronautics Limited, Mission Hospital, Scalene Works, and World Health Organization etc. Dr Dinesh Kumar regularly conducts corporate training programme in Analytics and trained more than 1000 professionals in the field of analytics in the last 8 years. 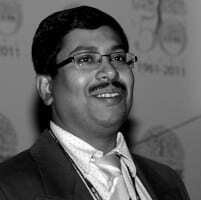 He is the president of the Analytics Society of India (ASI). Dr Dinesh Kumar was awarded the Best Young Teacher Award by the Association of Indian Management Institutions in 2003. Dr. Murthy is a visionary, an Analytics expert and a passionate educator, who has been doing highly innovative work in the field of Analytics – be it consulting, product development, corporate training or educating – since 1999, when Analytics was not part of the common lingo that it has become today. Dr. Murthy is the primary driving force behind the certificate program in Big Data Analytics and Optimization at INSOFE, which has been ranked 3rd globally and 2nd among academic institutions for Big Data certifications that “Pay off” by the authoritative CIO Magazine; it is worth noting that Columbia University’s certificate program has been ranked 2nd and Stanford University’s the 4th overall. Dr. Murthy is a passionate educator with remarkable strengths in simplifying complex concepts. It is this ability that has endeared him to his students. Industry also recognized this strength, and he has been invited by global giants such as Johnson and Johnson in the US and Microsoft, HP, D E Shaw & Co, Broadridge Financial Services and many others in India to conduct in-house employee training on Big Data Analytics. Dr. Murthy is also regularly invited to speak at Big Data Analytics forums. 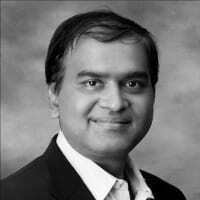 Dr. Murthy has a Ph.D. in Materials Science from Carnegie Mellon University and a B.E. in Metallurgical Engineering from NIT, Trichy. Gaurav has changed the way analytics education is being imparted in India. With Jigsaw Academy, Gaurav brought the innovative concept of online education in the field on analytics, disrupting the whole industry. 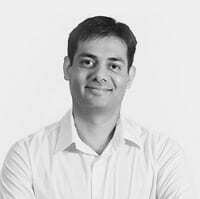 Gaurav has over 10 years of experience in the field of analytics and has worked across multiple verticals including financial services, retail, FMCG, telecom, pharmaceuticals and leisure industries. Gaurav started his career in analytics with Capital One and over the last decade has worked with clients such as JC Penney, Gap, Wal-mart, IRI, 7-11, IMS health and ICICI Lombard. With an economics undergraduate degree from DU and an MBA from IIM Bangalore, Gaurav has been in the analytics industry from its initial days. Gaurav is a through and through analytics professional who believes that all problems can be solved and results made better through using analytics. From the personal to the professional, analytics is the building blocks for his decisions, from calculating the probability of landing safety for his first (and only) sky dive to managing the setup of a retail consulting practice for a leading analytics company to figuring out by exactly how many cents the price of toilet paper can be increased, he’s done it all. Bappaditya Mukhopadhyay is currently the Professor, Finance at Great Lakes Institute of Management, Gurgaon and also the Program Director for Great Lakes Post Graduate Program in Business Analytics. He is also a Visiting Professor at University of Ulm, Germany.Prior to joining Great Lakes Institute of Management, he was associated with various institutes in different capacities; Assistant professor at Northern Institute for Integrated Learning in Management, Associate professor with Management Development Institute. He was also a fellow at Indian Development Foundation. In the past Prof. Bappaditya was a visiting professor at Indian Statistical Institute, Delhi, Vienna School of Economics and Business Administration , Austria, S.P. Jain centre for Management, Singapore and Dubai and at IIM (Kolkata, Lucknow, Bangalore, Kozhikhode). He is also the Managing Editor of Journal of Emerging Market Finance, Journal of Infrastructure and Development and is on the Editorial Advisory Board of International Research Journal of Finance and Economics, International Bulletin of Business Administration, European. Journal of Economics, Finance and Administrative Sciences and International Journal of Applied Economics and Finance. After completing his graduation in Economic (major) from Statistics and Mathematics from R.K. Mission Residential College, University of Calcutta , he went for M.A in Economics from the Delhi School of Economics in 1992. 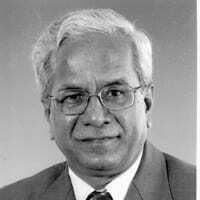 Prof. Bappa has done his PhD in Financial Economics from Indian Statistical Institute (Delhi). Prithwis is an engineer by education, a teacher by profession, a programmer by passion and an imagineer by intention. Prithwis Mukerjee is an engineer from IIT, Kharagpur and has done his Masters and PhD in Management Science from the University of Texas at Dallas, USA. 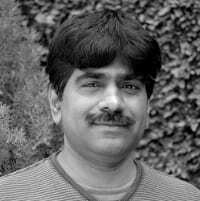 He pioneered RDBMS technology as a DBA at Tata Steel, eBusiness & web applications as a Partner at PricewaterhouseCoopers, MMORPG & Virtual Worlds at IBM, distance learning as a tenured Professor at IIT Kharagpur, Web 2.0 and the “Kollaborative Klassroom” at Praxis Business School. 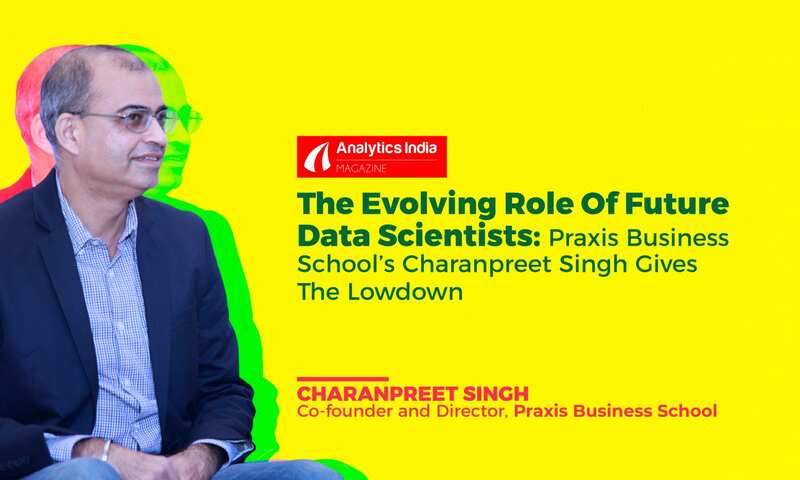 At Praxis he has designed a cutting edge syllabus for the Business Analytics program based on his paper on Data Science published in the Communications of the CSI, July 2014. While at the Vinod Gupta School of Management at IIT, Kharagpur, Dr. Mukerjee had been actively engaged with the administration of the school, in addition to his teaching assignment, including Admissions, MDP programs and Placement Activity. He delivered 100% placement in the two years that he was Chairman, Placements. As Director at IBM, he was the Head of the Calcutta Delivery Centre as well as the India Learning & Knowledge (Internal Training) Department. He was the Service Line Leader for Package Software (SAP / Oracle / Siebel / JDE). As Partner at PricewaterhouseCoopers, Dr. Mukherjee created the eBusiness practice for PwC in India. He offered consulting services to top Indian companies on creating and implementing eBusiness strategy. 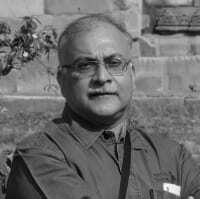 He was the first to design and sell browser based solutions to clients both within and outside India. He created the offshore delivery service of PwC India and branded it as Business Beyond Borders. Dr. Sreerama KV Murthy received a PhD in Data Mining and Machine Learning in 1995 from the prestigious Johns Hopkins University, which could make him one of the earliest PhD-holders in Data Mining in India. Prior to that, Dr. Sreerama Murthy completed a Master’s thesis in Next Generation Expert Systems from IIT-Madras Computer Science. Automatically building mega-catalogs from Hubble Space Telescope images was Dr. Sreerama Murthy’s PhD thesis. The software he designed is used till date in scores of countries. His paper on the topic continues to be a top-cited paper in the area of Decision Trees and Machine Learning. In the past 24 years, Dr. Sreerama Murthy worked for world-class research labs such as Siemens Corporate Research – Princeton, IBM Research – Delhi; and National Center for Software Technology (now CDAC, Mumbai). He also has been instrumental in setting up three startup companies that drove innovation in AI & data mining in the areas of vocational skilling, healthcare and supply chain management. Dr. Sreerama Murthy currently is the CEO of Quadratyx, a company that offers corporate training, proprietary e-learning and consulting services in Big Data, Machine Learning, Text & Image Mining and Predictive Analytics. Quadratyx helps dozens of customers in India and abroad, and also performs high-end research in Big Data Analytics. 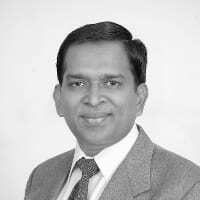 Dr. Sreerama Murthy has 8 issued US patents, over a dozen patent-pending innovations, and scores of international publications, all in the area Data Science. His team has done seminal work in learning analytics. Dr. Sreerama Murthy has been a Principal Advisor & Mentor for the International School of Engineering since its inception. Dr. Purba Rao has been a Professor more than 25 years teaching and conducting research on topics such as Business Analytics, Climate Change Management, Green Supply Chain Management, Corporate Environmental Management, Predictive Modeling in Strategic Decision Making , Marketing Research and Social Entrepreneurship Management. She is a Fellow in Management from Indian Institute of Management Calcutta, has a M.Sc. in Applied Math from Science College, University of Calcutta and a B. Sc. In Math(honors) from Presidency College Calcutta. Over the past few years she has been a Visiting Professor at Indian Institute of Management, Ahmedabad IIMA, at Great Lakes Institute of Management and IIM RANCHI. From 1998 until Jan 2009, for 20 years, she has been a Professor at Asian Institute of Management, AIM, Manila, Philippines. Her latest book publication “Business Analytics, an application focus”, PHI, 2013, is now used as textbook for Business Analytics course in many major Business Schools in India. Prof. Parag Mahulikar is Dean and Senior Professor of Marketing at IES Management College and Research Centre, Bandra, India and Management Consultant. He has done his post graduation in Statistics from Bombay University and also Diploma in Operations Research for Management from Bombay University. His dedicated work earned him the Honor of being invited to be “Member of the Board of Studies for Statistics” at University of Mumbai and “Member of Board of Studies for Research Methodology” at NMIMS University, Mumbai. He has been listed as one of the illustrious students of the department of Statistics, University of Mumbai on their website. The programmes were on Sales and Demand Forecasting, Data Analytics, Role of Data Analytics in Business Decisions, Capturing Customer Insights, and Balanced Scorecard. In all the programmes, he inculcates culture of decision- making on the basis of data. He uses all the advanced statistical techniques to analyze the business data / situation but never emphasizes on statistics. He uses statistics as a tool to analyze data and interpret it. Many congrats on being a part of such an achievement. I am blessed to have been mentored by you. Wow..Congrats Dinesh Sir, With supreme confidence I can say that the chosen list is by far the best one. I am blessed to be a student of Prof Dinesh at IIMB. A much needed compilation and its wonderful to read about these individuals who are leading analytics education in India. Being an ex student of Jigsaw Academy, I only know Gaurav and its wonderful to see his name here! This is a well researched and carefully chosen list. I usually mention most of these names in various forums and also when I am asked about prominent names in Indian analytics space. I know many of them personally and I am very happy to see them listed here.